Flashback Friday to September last year… I still can’t quite believe that we’re in January already! 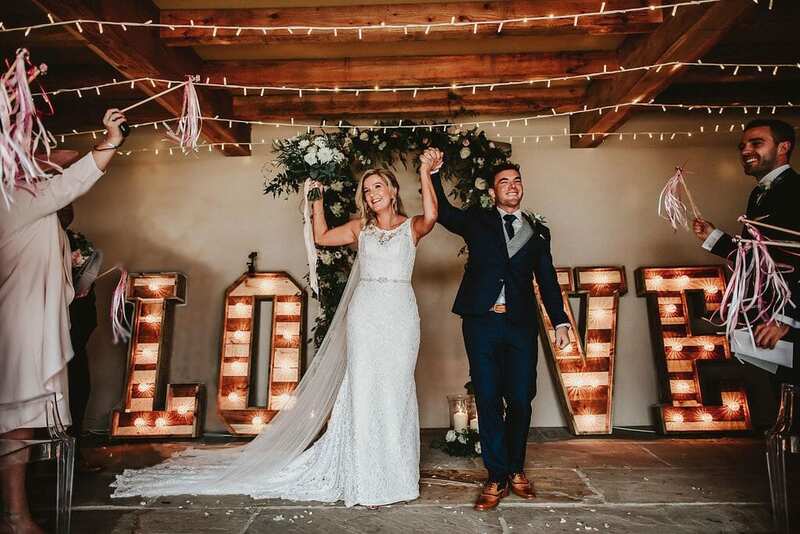 Sarah and Josh were our last couple of the 2017 summer wedding season, and it was a perfect wedding to finish off the year… A beautiful couple with a supplier dream team. If you read our recent foliage trend blog post, you’ll probably be familiar with Sarah & Josh’s marquee decorations, but lets flashback to Deborah’s other creations… She crafted a floral arch for the wedding barn, aisle decorations, table centrepieces, top table garland, order of the day & table plan flowers, cake flowers, and (of course) the bridal bouquets and buttonholes (gosh that was a long list). 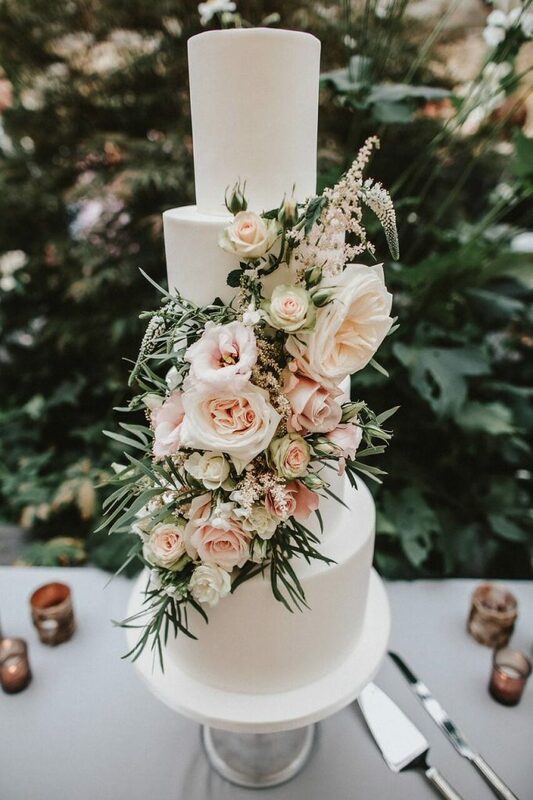 The colours were super elegant and were perfectly fitting for Ever After. 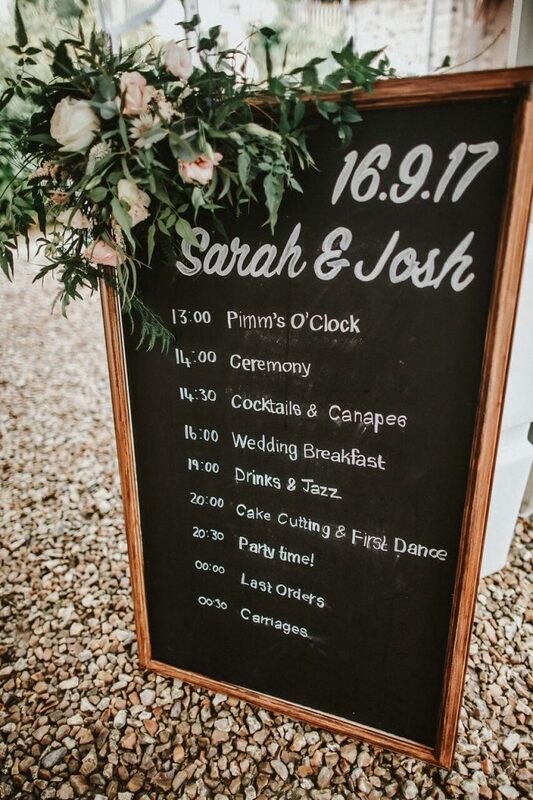 I loved Sarah & Josh’s table plan. It reflected their day as a whole so well, and looked fab in front of the water feature on the terrace. They also had those serious ‘wow factor’ L-O-V-E lights in the wedding barn (which we then moved to the marquee). On the whole, their decor was kept to a minimum, but the items that they did have were absolutely perfect. Sarah & Josh left a lot of their styling to the flowers, which I think is almost always super effective. Especially at Ever After, and especially with Deborah as your florist! Sarah and Josh have an exciting publication coming up, so keep your eyes peeled for more info! Don’t forget to follow us on Instagram for daily photo inspiration and Ever After updates!